Agilent P30 Robotic Tips for Bravo and Vprep - Request Free Samples! Compatibility: Fluotics designs its Agilent™ P30 automation tips for maximum compatibility with the Agilent Bravo and Agilent VPrep robotic liquid handlers. When using our Agilent™ Bravo and Agilent VPrep compatible automation tips a separate labware definition is unnecessary. VWorks automation control software protocols also do not need to be modified. This Agilent 384 format tip is designed to be interchangeable with the original Agilent P30 automation pipette tip. Applications: The most popular tip type in the 384 format category, the Agilent P30 tip type offers comparable sub-microliter performance (precision and accuracy) to the Agilent P10 tip, but the additional volume capacity and length give much greater versatility in designing protocols. Manufacture: Fluotics produces its Agilent Bravo and Agilent VPrep compatible P30 tips from the highest grade virgin polypropylene. We use ultra polishing techniques to ensure low liquid retention without the use of releasing agents or other additives. 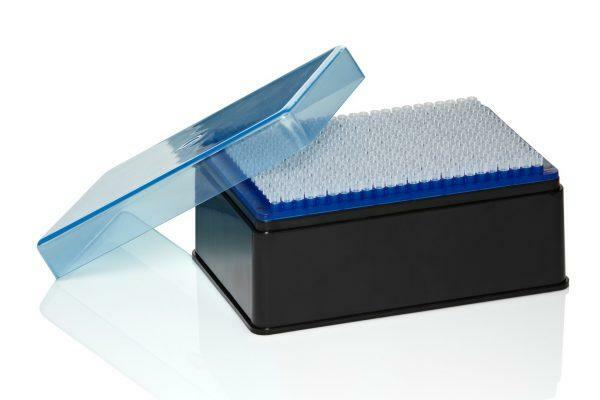 Furthermore, all our Agilent Bravo and Agilent™ VPrep compatible tip boxes come standard with conductive plastic to dissipate any static buildup. 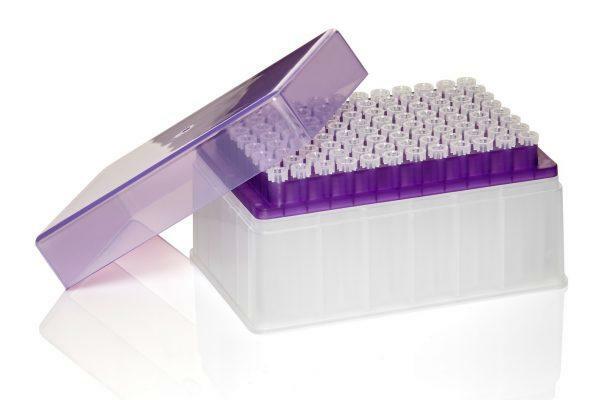 Case Quantity: There are 384 tips per rack and 50 racks per case.